Rabbi Yitzchak Schochet arrived in the UK in 1991. Having previously served as assistant principal of Oholei Torah Boys School in New York, he assumed the position as Minister of the Richmond Synagogue in Southwest London for two years, while also teaching Advanced Jewish Studies at the Jews Free School. In 1993, at the age of 28, he was offered the position as rabbi of the Mill Hill Synagogue. His vibrancy and dynamism has resulted in a continuous growth of membership, now in excess of 1,800 members. He has a Masters Degree in Jewish Studies from University College London. He authors numerous articles for newspapers, magazines and journals. He served as Diary Rabbi to the Guardian Newspaper and also writes for the Jewish Chronicle as well as a very popular weekly column in the Jewish News. He has featured in The London Times as well as Time Magazine International. Rabbi Schochet can often be seen on television including BBC as a regular panelist for The Big Questions as well as CNN. 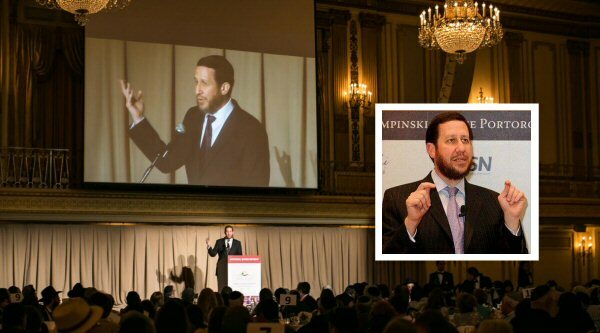 Rabbi Schochet is a sought after international speaker on a vast range of topics. He has lectured across the world including Russia, Australia, Israel and all parts of the USA and Europe and has been rated top speaker at the National Jewish Retreat in The USA for several years running. Rabbi Schochet served on the Chief Rabbis Cabinet with the portfolio of the family and as chairman of the Rabbinical Council of the United Synagogue. He was named by the Jewish Telegraph as one of the ten most influential Rabbis in the United Kingdom. The Jewish Chronicle recently described him as "one of the most outspoken Rabbis in the world." One of Anglo-Jewrys most dynamic orthodox rabbis, who has turned his synagogue into a vibrant source of religious and social activities. or send him a message by using the form found on our Contacts page. Meet the team in the Mill Hill Shul office. Are you planning on visiting our community soon? Are you planning on visiting our community any time soon?